Cosma Shalizi offers a course with great name “Data over Space and Time”. 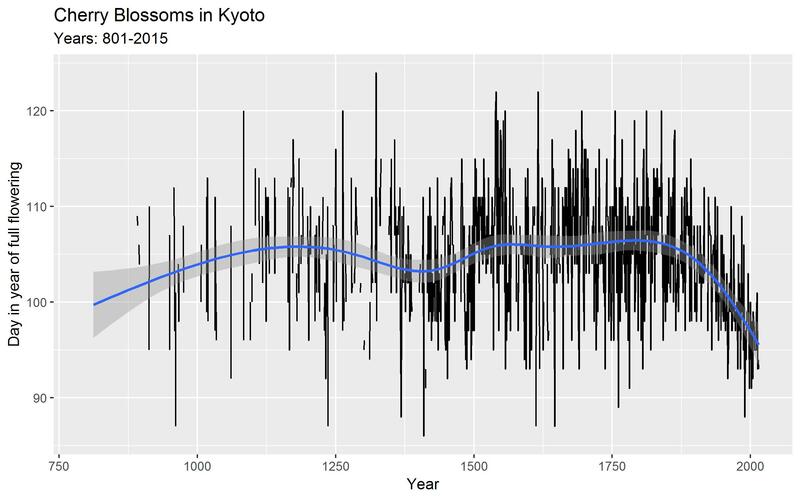 As part of this course he uses data on the first day in the year that the cherry trees in Kyoto started blossoming. This data was collected by Yasuyuki Aono and coauthors. Note the earlier blossoming of trees at the end of the sample which is a sign of rising temperatures.